This wonderful Chicago wedding began with a romantic proposal on the Lakshore Trail just outside the Shedd Aquarium, followed by a surprise dinner party with family and friends at Highline in River North. 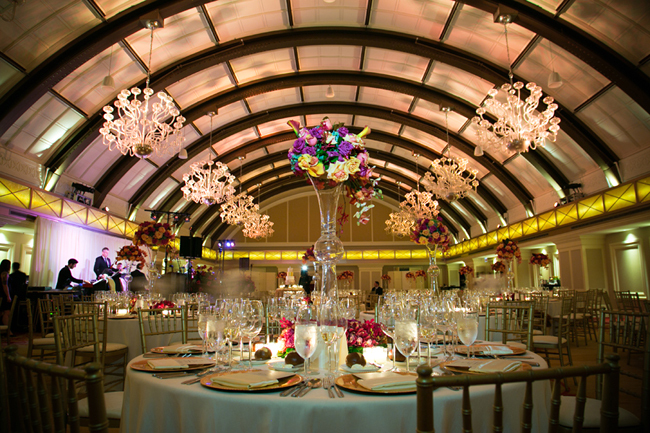 So, it's no wonder that Caren and Leo's actual wedding day was just as romantic, memorable, and meticulously planned. 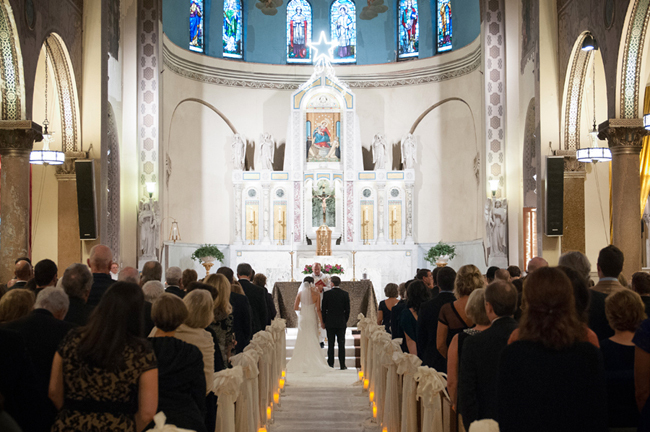 They exchanged vows at the inspiring Shrine of Our Lady of Pompeii on Lexington, with shimmering candles lining the aisle. Caren wore a gorgeous Carolina Herrera gown and carried an elegant white cascade bouquet. 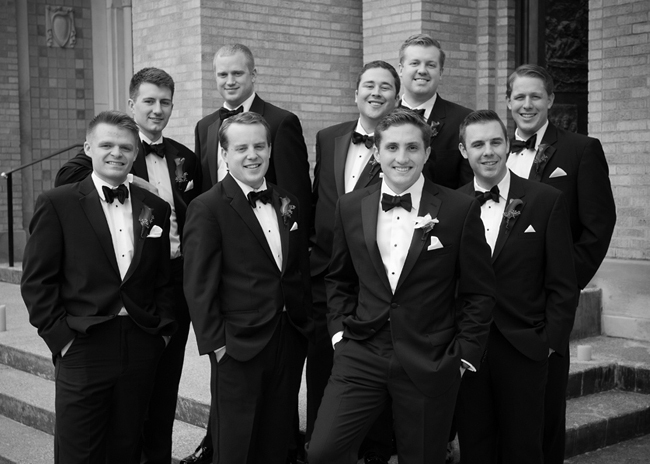 Then, they hosted an amazing reception at the JW Marriott on Adams. What a venue! Everything was picture perfect, including the cake and other delcious treats! The happy couple met as students at the University of Illinois, moved back to the Chicago area after graduation, and just seemed to gravitate toward the city. 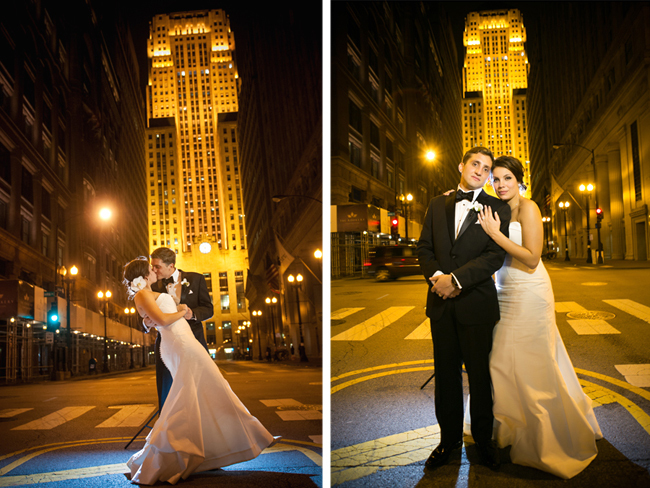 Their wedding was a celebration of their love with all the style and flair that Chicago has to offer. Thank you Caren and Leo for letting us be a part of your incredible day. See more at Gerber and Scarpelli. 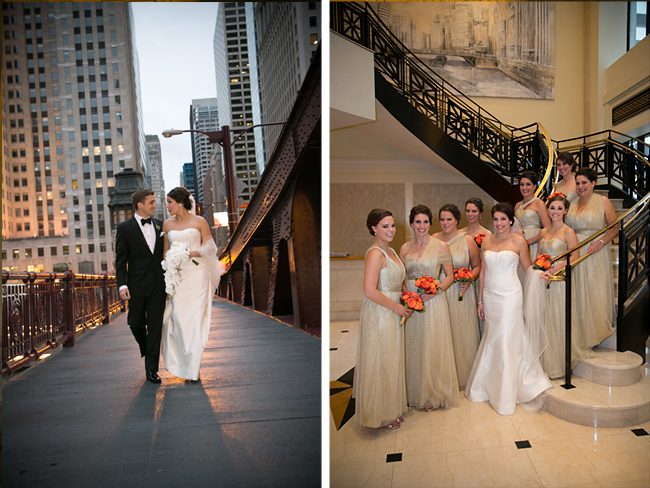 Credits: Photos by Gerber and Scarpelli, Event Coordination by Janet Sarno, Ultimate Bride, Bella Briesmaids, Nordstrom, Men's Warehouse, Salon Hype, Furla Vision Films, Chicago Trolley, Papyrus, and Music by Indigo.